TECAR CRV is non-invasive and painless system with prolonged action, which recovers energy biocompatible cells andextracellular matrix, stimulate collagen, reticular fibers and elastin. Guarantee high performance against deficiencies such as wrinkles, stretch marks and loss of skin elasticity and tone. TECAR CRV gives biocompatible energy cells to improve the entire skin and physical activity, providing energy to the body to reactivate the fast rejuvenation, also helps to preserve the effect for a long time. 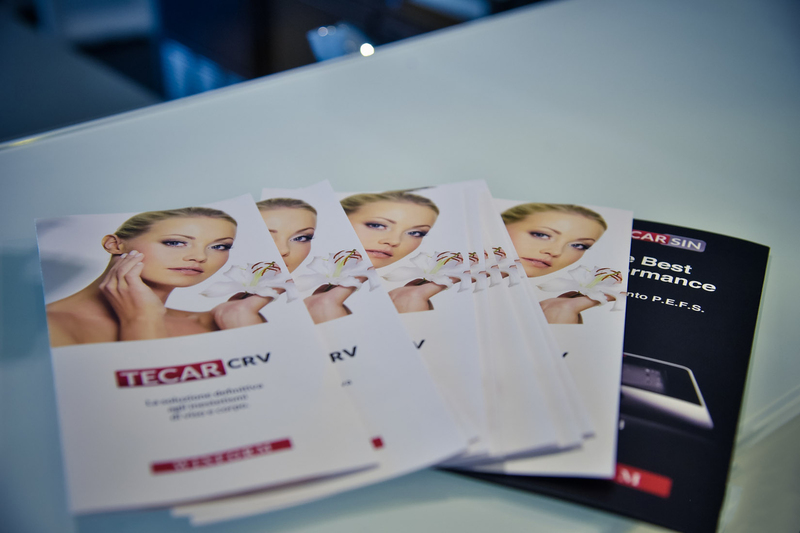 TECAR CRV uses non–ionizing radiation, which is activated by the movement of the electrolyte influences the temperature rise, has been stimulating and revitalizing effect. Application TECAR SIN to tissue includes a bio–stimulant and synergistic action of three simultaneous actions: diathermy, transdermal systems and ultrasound. Stimulation TECAR SIN is most effective in treating celulite and feat localized. It helps to reduce excess fat and reduces the tone of the tissue. 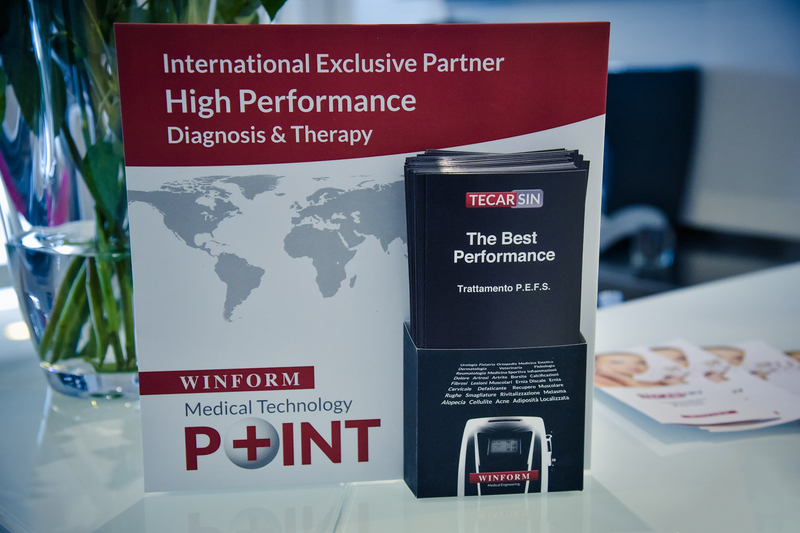 Treatment TECAR SIN provides stimulating metabolic processes eg. elastin, collagen and the like, which is the best treatmentagainst decay of tissue. Face: face, skin spots, skin rejuvenation, revitalizing skin, wrinkles around the eyes, lips, neck. 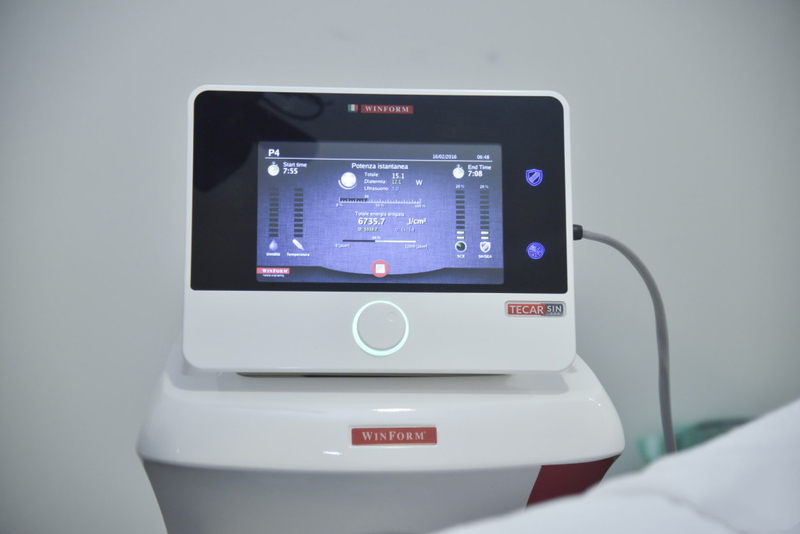 Body: cellulite, muscle tone, localization fat, skin rejuvenation, toning breasts, irregularities skin.